Handling a project is not an easy task with keeping a record of all moving items in and out. During the entire scenario, one tends to forget important tasks. 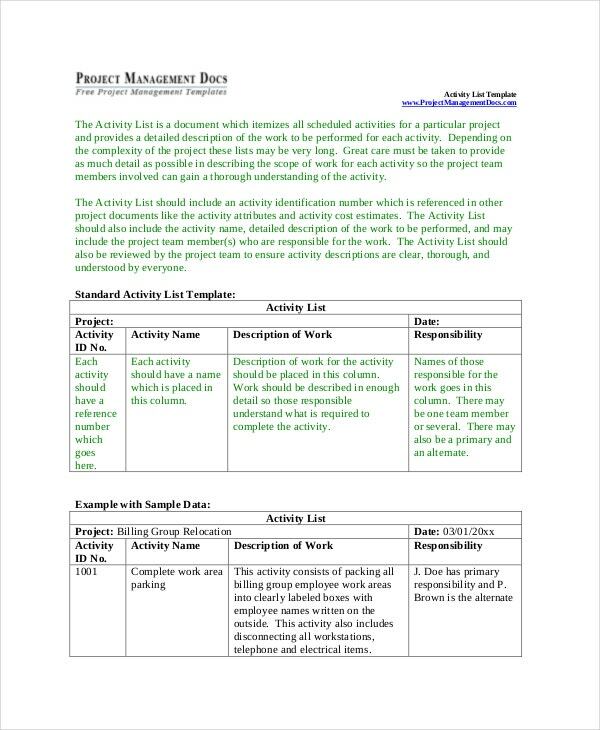 Project list template helps you to prepare an entire list so that you know where you need to focus and where you can postpone your immediate attention. You can also see Financial Projections Template. 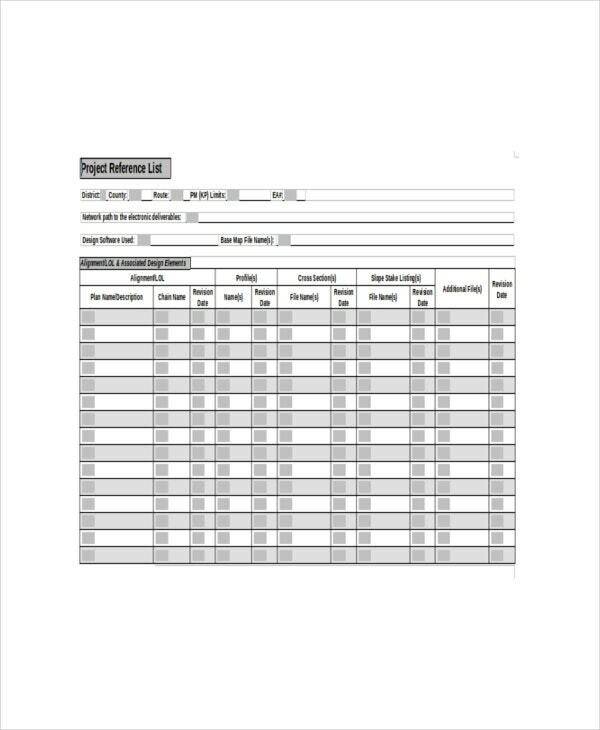 With this template you can manage due dates on routine basis, hourly basis and priorities your task across the entire week. Sample examples are available which you can see how it helps to keep an organization organized. You can download the project template in variety of format options like PDF, OSD, MS Word and many more. The resource list deals with the resources required for the project. 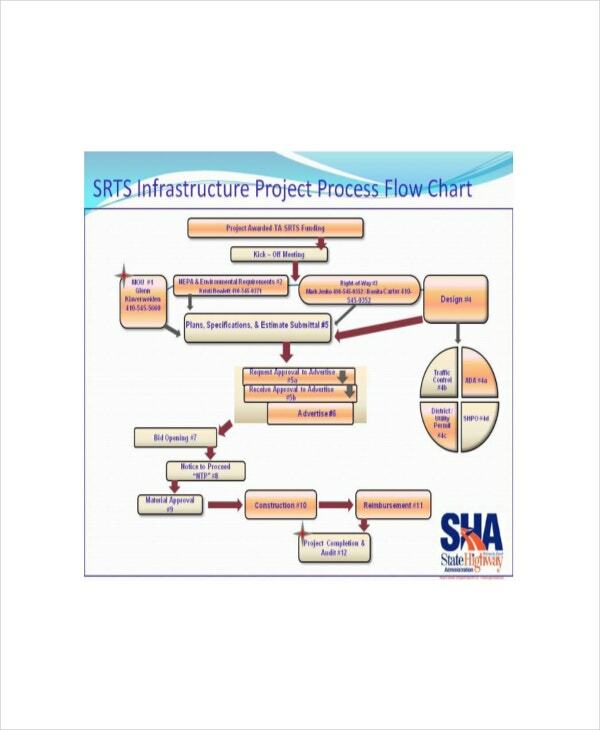 The resource list deals with what are the requirements that are needed to make the project. This helps in keeping things organized, and this helps in keeping important things on the list first without which the project scope template cannot be started. 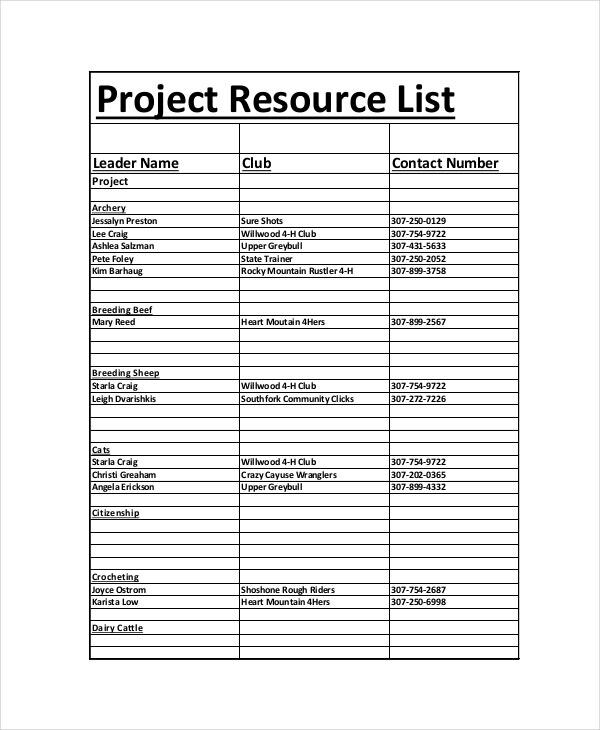 Once you are done with making the resource list, you can further proceed on with the project since you already have everything written down, you can have this as a reference in order to see what are the things missing and what you already have. The topic list deals with the list of topics contained in the project. This list can be made from the most important topics to the least important topic. When the list is made, then one can carry on with the best way to proceed with the topic. This way you can gradually ascend with each topic and make successive progress in your project. When you make a list like this, it helps you save from the sudden diversion of a certain topic in your project. 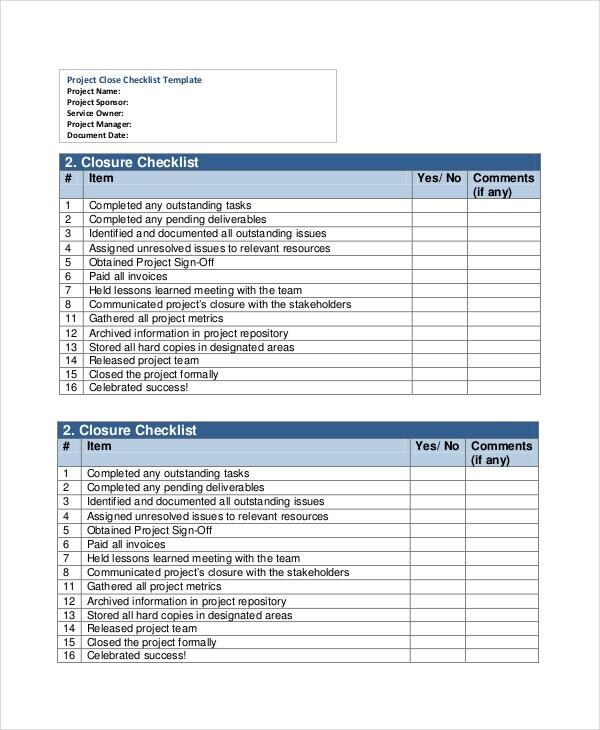 Maintaining a checklist while making a project is very important, with the help of the checklist you can maintain a check of how much of the project work is done, and how much is left. This way by keeping a track at the speed of your work, and keeping a continuous pace shall help you in completing all your projects on time. 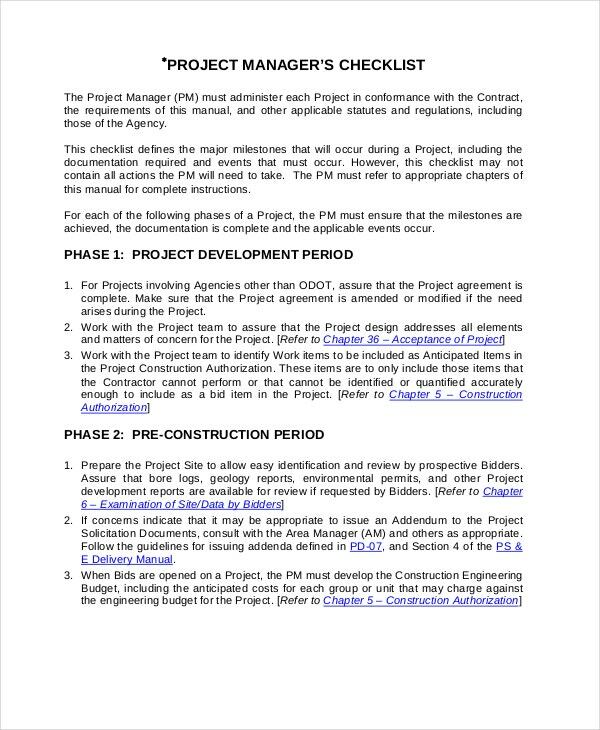 Checklists are not only made for project topics, but are also made for the resources and other information as they complete and proceed. This way every attendee of the project is able to stay updated of everything that is happening in the project. > What are the Steps one Must Follow to Create a Project List? There are several ways in which one can create a project list. You can either download a sample example and customize it or simply use a word document or an excel spreadsheet to create a project list. If you are creating a project list in a word document then you can simply jot down the list of points required with the help of bullet marks, other than that if you are using an excel spreadsheet to write down the points then the best way to do this is by using rows and columns. In separate rows you can write down the topics and in the other columns you can make the tick as soon as a topic is complete. 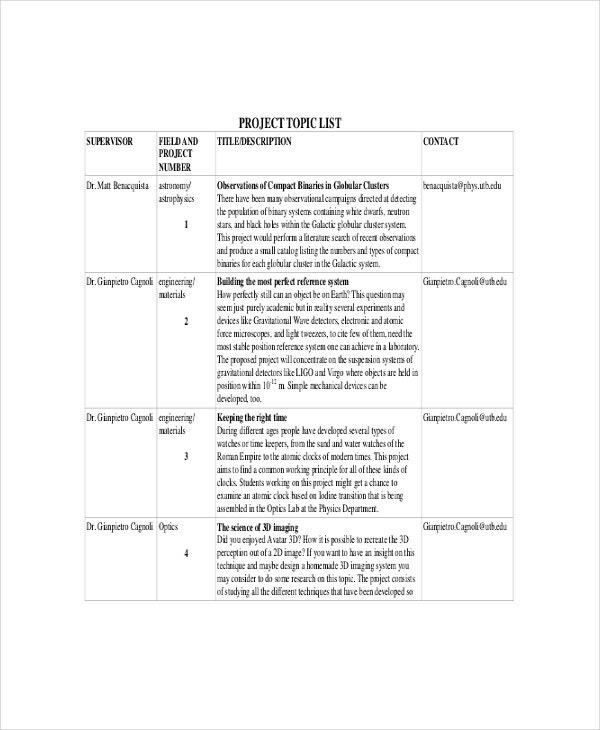 You can also see Project Report Template. 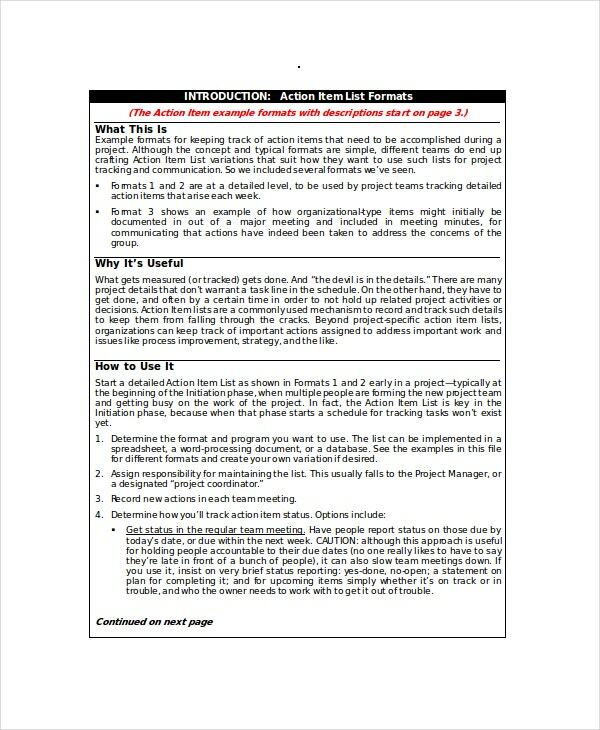 > What are the Benefits of using Project List Templates? There are a number of benefits for using project sit templates. 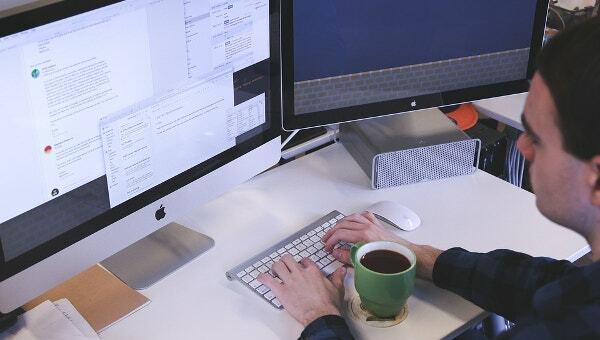 With the help of project list templates, one can never miss out anything on the project. He can take care of each of the left over work in the end as well, since he has already made a list of tasks to be completed. By making a list one can always refer to it in case of a forgotten topic. With the help of project lists you can take care of the requirements of the project with regular alterations as well. You can also see Project Summary Template. With the help of our project list templates you can take care of all necessary requirements to complete a good project. Our templates are designed by professionals and are easily available in all possible formats and hence they are very easily printable as well. When it comes to negotiation over the templates we create then we assure to create the best templates with user friendly and viewer friendly options.